Yesterday afternoon, Danny and I huddled on the couch, trying to keep Lu under a blanket. Do you have any idea how much this kid loves to run and jump, dance and spin? Keeping her under that red fleece blanket, particularly her hands, was tough. But she had to be under the blanket. It was cold in our house. The power went out at our house early Tuesday night, about three. We woke up to no lights, no oven, no computer, no phone, no television, and no idea when it would all come back again. At first, we thought, “Adventure!” We live on a rural island. This happens. The night before the wind howled and flung ice pellets at the window, in a rare true cold snap and full snowstorm. This doesn’t occur too often here. We were sort of excited. Surely the power was bound to come on in an hour or two. Through the spotty reception on our cell phones  somehow that was affected by the storm too  we learned that one friend after another was out of power too. Clearly, the entire island had lost its power. Both of the feeder lines that provide electricity to the island had been tangled and torn. Danny and I looked at each other. This was going to be awhile. And since the temperatures outside were dipping into the teens, and we have only electric heating in this house, the cold was gathering force in our home. By nearly noon, I couldn’t feel the tip of my nose, even with a parka and hat on. Lu’s hands felt as though she had been holding ice cubes all morning long. Danny learned to drive on snow and ice in Colorado. We just spent a week there, him driving a bright yellow rental car on ice at 10,000 feet. We decided to bundle up Lu and put her in the car, where we could turn on the heat, and attempt the drive to town. Luckily, once we left our little neighborhood, the roads were not dangerously icy. We drove slowly. Lu feel asleep in the heated car. Danny drove us to town, where he stood in line with most of the island for coffee at the grocery store, which was running on a generator. He listened to conversations, as he always does, and realized from the talk that we would be without power for a long time. His restaurant surely wouldn’t be open, right? He wouldn’t have to work that night. When we stepped foot in our home again, groceries in hand and a cranky kid in my arms, the cold snapped us in the face. Somehow, it seemed, the house was 10 degrees colder than it had been when we left. Suddenly, it just didn’t feel safe to keep Lu there. Danny called around and heard enough confirmations that the power would not be on again until the middle of the night, or possibly the next day, to leave the island. There would be no cooking for other people. We braved the roads and took the ferry to my parents’ home, just a quick drive from the ferry dock on the other side. When we stepped into their home, I was greeted by a rush of warm air. My father put a mug of hot tomato soup on the table next to the chair, then invited me to sit down. A warm heating pad met my shoulders. Lu played with her grandparents in the kitchen. For the first time all day, I could feel my body relax. We’re home now. After a long night’s sleep at my parents’ home, a lovely breakfast, Lu dancing as much as she could, and a trip to the grocery store for all the Thanksgiving Day fixings, we drove back to the island. Friends and neighbors informed us that the power had returned to our little neck of the woods. (Much of the island is still without power. We got lucky.) When we walked on, the heater was going and I sighed into the warmth. Now, all of this was one day. It was an adventure, after all. We’ll tell this story and remember it when we’re looking for a new home. (Electric heat is stupid. I love a wood stove.) It passed. We’re fine. However, when my toes were so cold in my wool socks and hiking boots that they hurt like fire, I kept thinking of the people for whom this state is not a one-day adventure. There are so many people out there without a warm home. And so many people without a Thanksgiving dinner tomorrow. We’ve been working for weeks to prepare great foods for you, foods that are not only gluten-free but dairy-free and egg-free too. We want everyone to be welcomed at the table. However, there are many who do not have a table to sit at tomorrow. 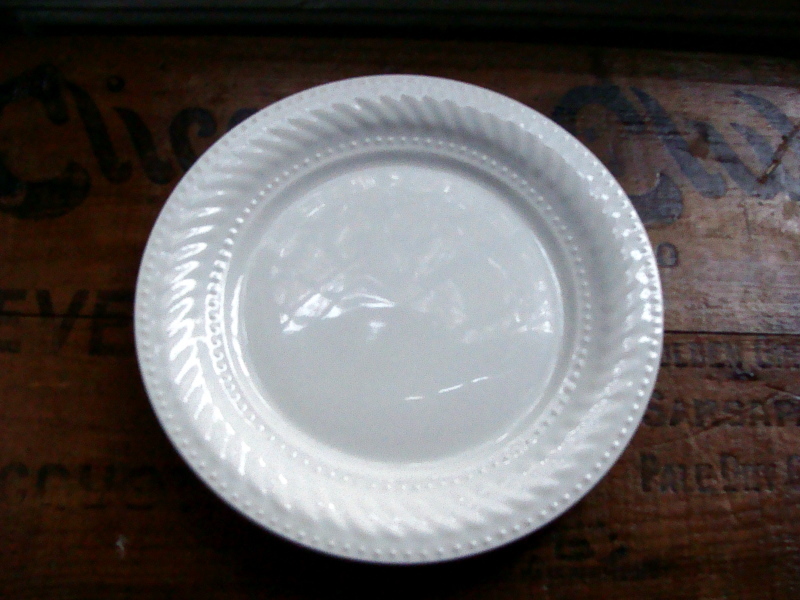 Many who are facing an empty plate. So let’s be grateful for what we have, even if Great Aunt Harriet is a pill and your brother-in-law’s girlfriend refuses to eat anything but fallen fruit. If we have food to eat, we are lucky. If we are sitting in warm homes, we’re fortunate indeed. Would you consider making a donation today to Share Our Strength? Today, along with an incredible group of food bloggers, Danny and I are putting up a photo of an empty plate, instead of tempting food. “Today as we prep our pies and stuffings, truss the turkey and ponder what to do with the leftovers, I’d like to ask we all take a moment to think of the millions of people battling hunger. An empty belly does not discriminate. Please help support Share Our Strength. Donate now. Your adventure is one that we experienced a few years ago in Raleigh, NC when we had an ice storm. We were out of power for days and it was quite cold in the house. We kept the dogs huddled, as well. I'd like to also thank you for doing so many gluten, egg, dairy, etc. etc – free items in the recent weeks/months. If no one else says it, I will: Thank YOU! Happy to read this post. Share our Strength is a fantastic non-profit well organized & equipped to truly address the situation of hunger in America. It happens to more children in the US than we would care to believe. I'm volunteering with them for the 2011 Taste of the Nation fundraiser in San Francisco & baked GF brownies at the Great American BakeSale fundraiser this year. In addition to giving money, there are many ways to volunteer with them too. Such a wonderful post! I had no idea this was taking place. I would have participated. Happy Thanksgiving! Thank you for this post. You moved me. One less hungry kid for 30 days. And thank you for such a wonderful blog that has filled my gluten free life with flavor and gusto! Oh, Shauna! Glad you have power. I don't even like to think about our eight days without power in December 2006. We have horses so we slept in our 25 degree house too many nights! Finally got back power Christmas eve. We've got our donated food all ready to deliver tomorrow. Big costco pumpkin pies (hey, I can't eat them but others will), roasted turkeys, sparkling cider (my kids' favorite) etc. My teenaged son is driving to deliver. Share our Strength does sound good but too late for us as we've already committed our dollars. Thank you Shauna. This fall I have experienced hunger for the first time. I grew up in an upper middle class home, have an education from one of the best colleges in the country, and am employed but due to the rough economy (and a commission-based job) have been having trouble making ends meet. Having my usual "yuppie" fare & full fridge become rice, beans, pasta, potatoes and an empty fridge has been a truly humbling experience. Wow, that really brought tears to my eyes. There is an awesome lady here in san diego, Julie Darling, who does some feeding the homeless, so I went down there to help out a bit and gave her a check. Happy Thanksgiving! This gave me chills. I have to say I completely agree and the thought of others without was very much in the front of my mind this weekend. I feel so fortunate for everything I have and hope that others in need can have the same.